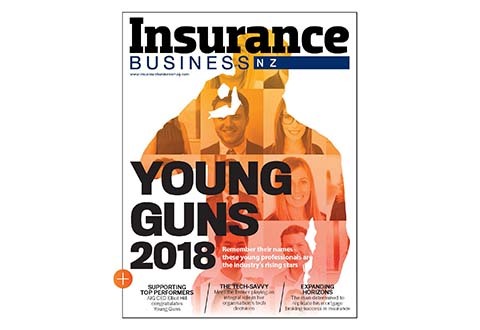 It took a bit longer than he anticipated but Auckland loss adjuster Greg Harris is thrilled that his ambitious mission to run five marathons before the year was out has been completed. 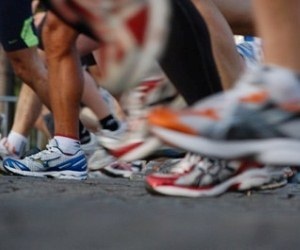 Originally Harris, who works for Cunningham Lindsey, had hoped to end on the Auckland marathon at the beginning of November. He ticked off the Christchurch marathon in May, the North Shore marathon in September, and a demanding marathon-length run on a Jetts treadmill in October. Having experienced some financial and physical setbacks the Auckland marathon last month became his fourth marathon and he was thrilled to finish the fifth and final event in Wanganui last weekend. “It leaves me with a feeling of great relief and satisfaction that I have now completed my part of the bargain,” Harris said. “In the last seven months I have covered over 200 km in just under 24 hours which has taken me to the South and North Islands and given me the priceless opportunity to be running along awesome beaches at sunrise, facing all types of weather from freezing cold to boiling hot, torrential rain, heat and humidity. Harris hopes a final push before Christmas will help him meet the $5,000 target he set at the start. 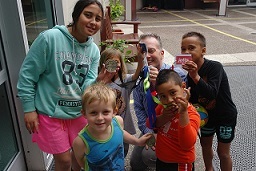 This week he took his five medals to show some of the children at Ronald McDonald House (see pic). If you would like to help Greg’s cause click here.